The Car EZ Trunk Organiser & Cooler Bag will keep the boot of your car mess free! 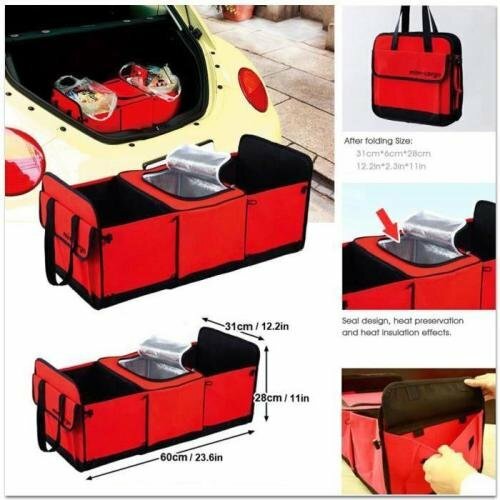 Keep all your travel necessities in your car neat as well as organised by storing everything you need with this Car EZ Trunk Organiser & Cooler Bag. Loads of space for everything you might need for those long car trips as well as day to day outings. The insulated compartments to keep your food cold or warm while you travel. 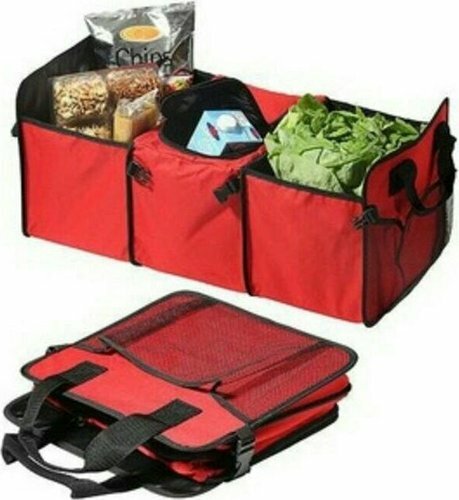 Store grocery items, travel accessories, sports gear, toys and so much more! 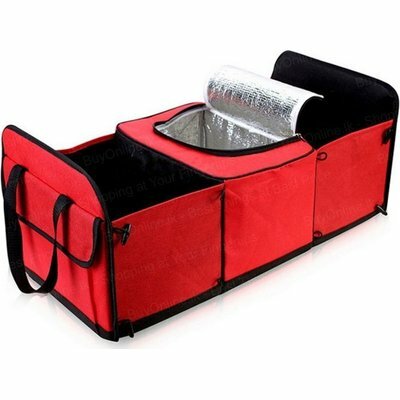 In addition, it is fully collapsible for easy storage when not in use.